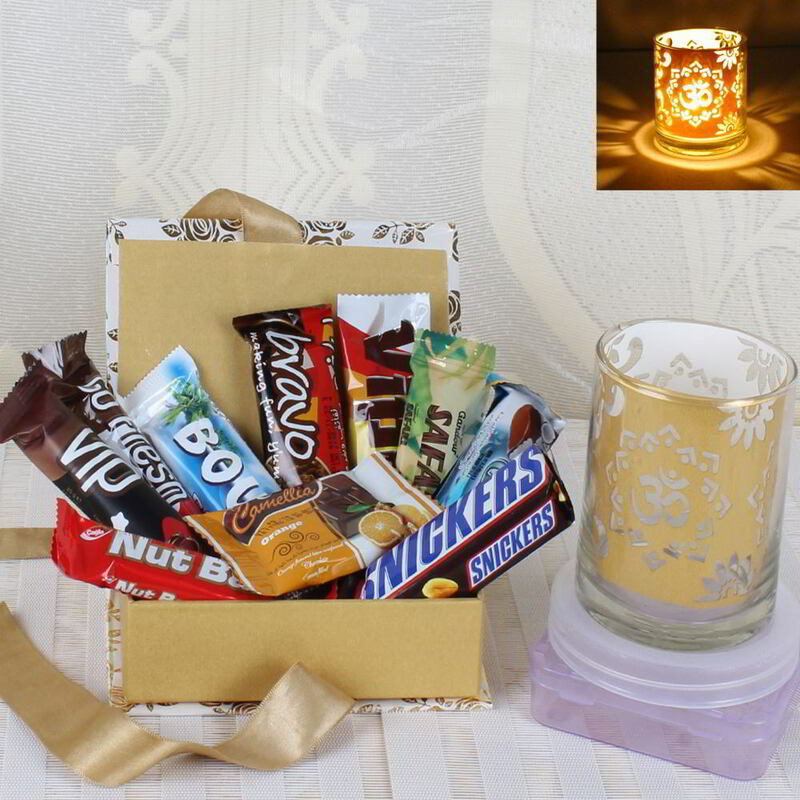 Product Consists: 10 Bars of Imported Chocolates in a box along with Designer Shadow Tea light Diya. 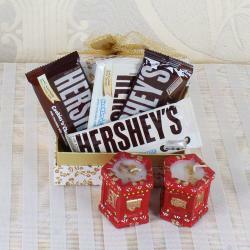 You will fall in love with this amazing Diwali chocolate combo for your family on the auspicious occasion of Diwali. 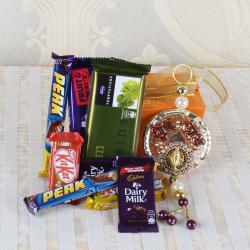 Stunning gift combo is perfect to delight your love ones and send them your Diwali best wishes. This exclusive hamper is a perfect gift for kids as the contents of this hamper are quite youthful. For the festival of Diwali, gift this Imported Chocolate with Shadow Diya as it will deliver your heartfelt emotions perfectly. Make a memory with them that they will cherish for a lifetime. So go ahead and order this combo for them today and make their Diwali celebration memorable. 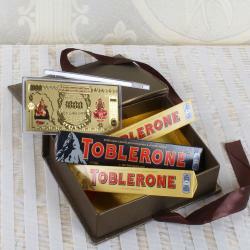 Giftacrossindia.com chocolate gift is nothing but a yummy treat which will give a pleasant surprise to the recipient who loves to eat chocolate so to experience sends this on Diwali special day to gift this product.